Robert T. Walsh (Bob) is a Registered Physical Therapist (RPT) and founder of Advanced Physical Therapy and Sports Rehabilitation. As an avid fitness enthusiast with previous participation experience in competitive sports such as collegiate football and bicycle racing, he has a life mission to assist other people in their quest for actualization of their health and well-being. His initial passion for outpatient physical therapy began as a result of a knee injury he sustained in collegiate football. He graduated from California State University Fresno and became a licensed physical therapist in California in January, 1983. Although Bob discontinued his participation in football, he continued his athletic training and participation in other sports such as triathlon, softball and cycling. When his passion for participation in the intensely competitive sport of cycling developed, he also learned the process involved with elite fitness training. This has served to provide him with a detailed understanding of injury and the necessities related to recovering to resume participation in any endeavor. 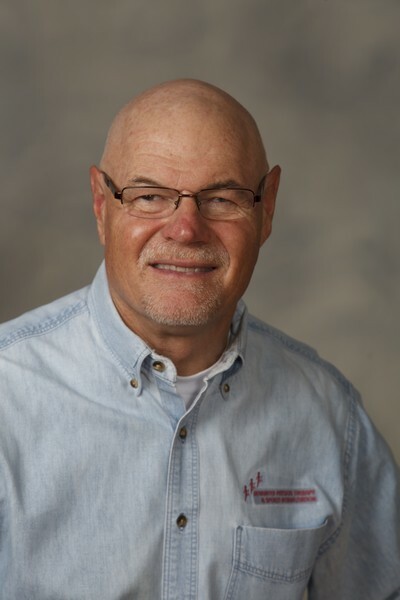 Bob founded Advanced Physical Therapy and Sports Rehabilitation in 1989 to serve active individuals in the community suffering from household or work related injuries, in motor vehicle accidents, as well as the athletic community suffering from sports injuries requiring rehabilitation. For over three decades, Bob has worked in close association with a wide variety of active individuals, part-time athletes, intensively competitive/ Olympic athletes and professionals alike. Bob, a hands-on therapist, has trained in a spectrum of manual therapy disciplines in addition to mobilization and manipulation studies. These methods and philosophies are combined to produce a distinctive, comprehensive and wide-ranging skillset that provide an expert combination of injury and movement analysis with supervised physical therapy treatment plans.